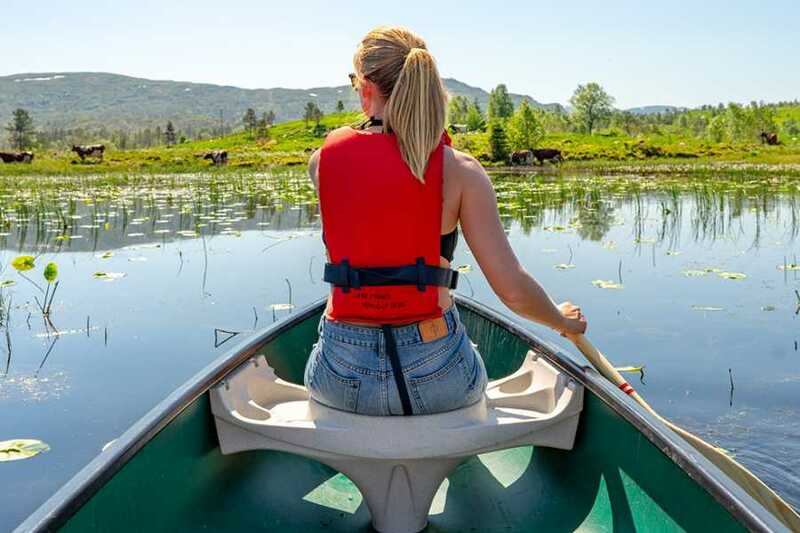 Paddle on the beautiful and always breathtaking Lake Sørestrand. 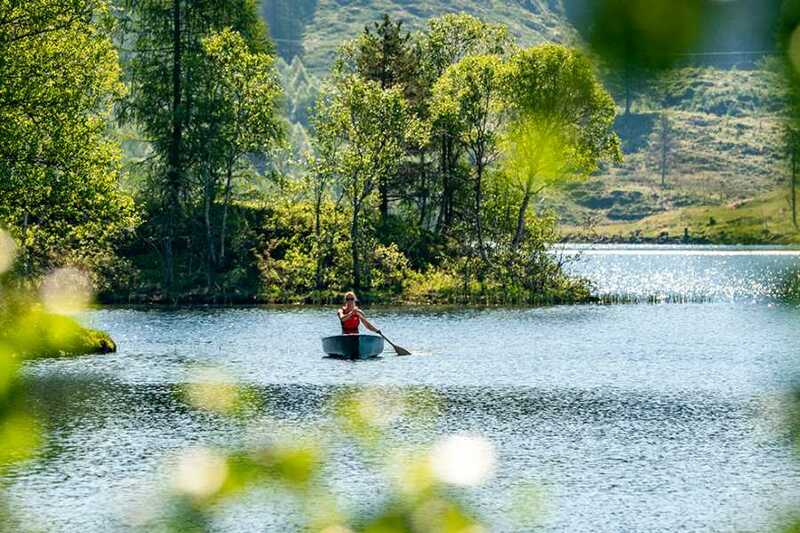 Enjoy stunning scenery, and the natural tranquillity of Lavikdal. 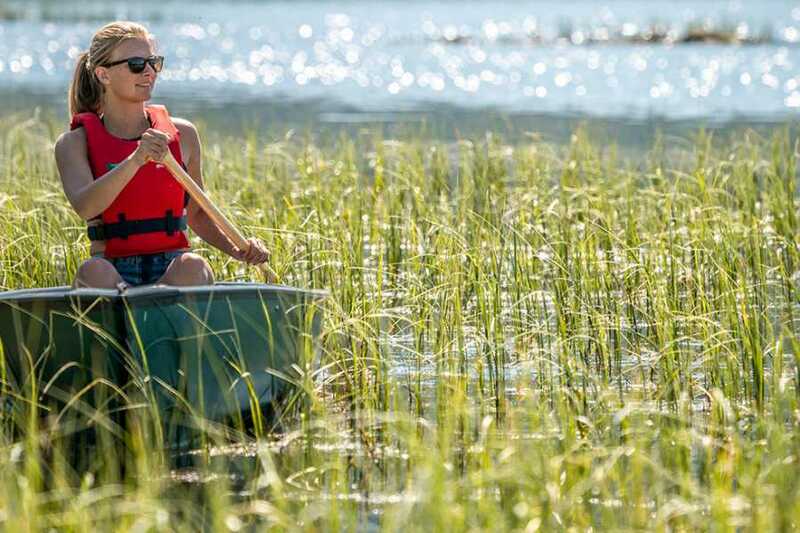 Canoeing is an activity for the whole family. It is not too difficult, and the experience being on the lake, gliding silently is second to none. Our canoes are family sized and can hold two adults and two small children. • Each canoe can hold either three adults or two adults and two small children under 55 pounds (25 kilograms) each. • There are also several hiking trails in this area!